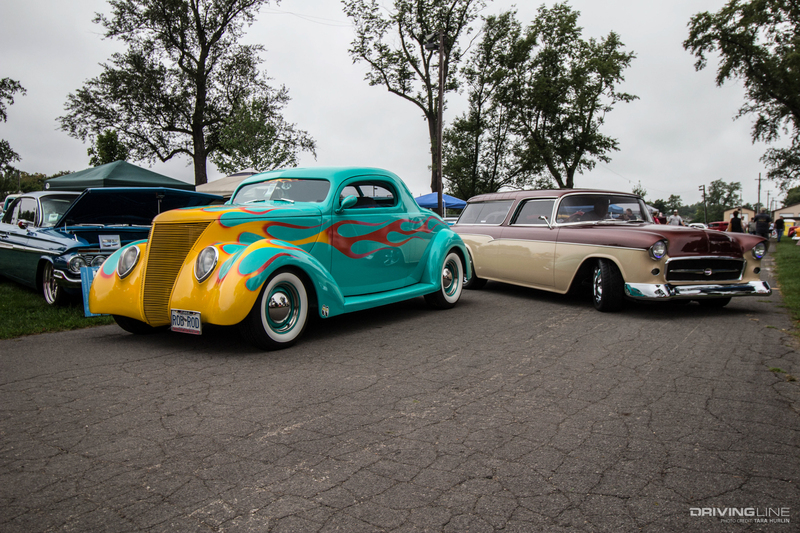 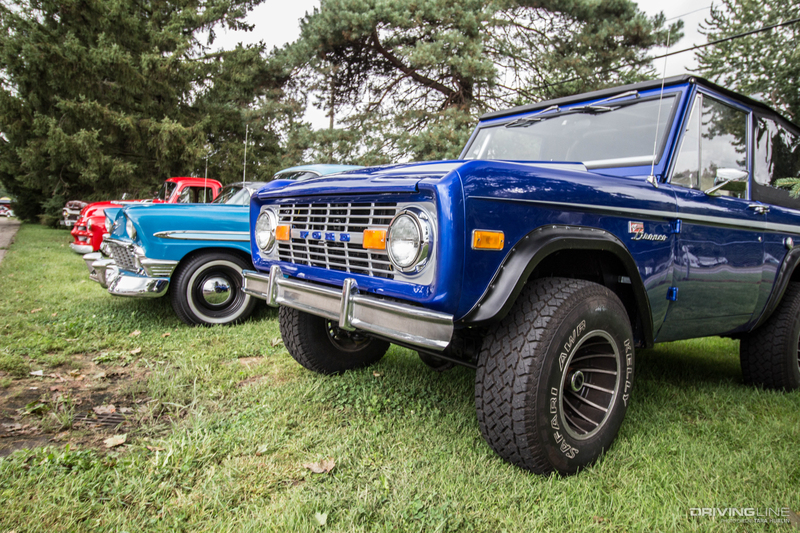 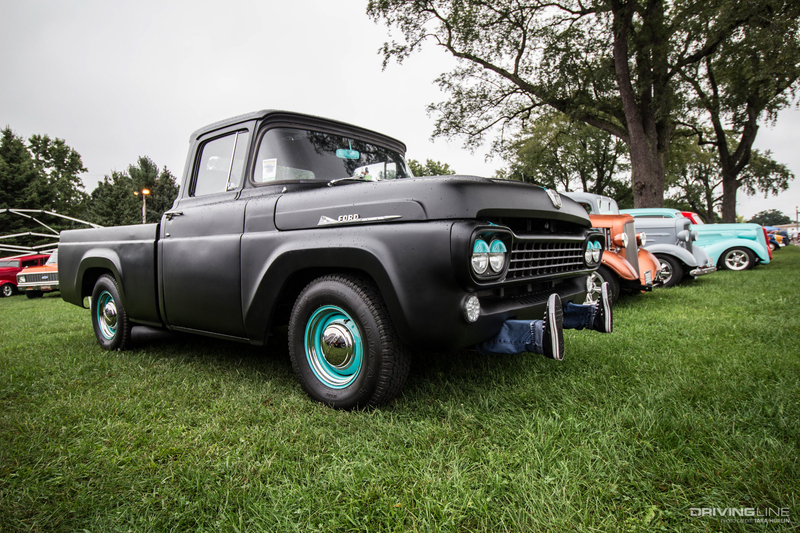 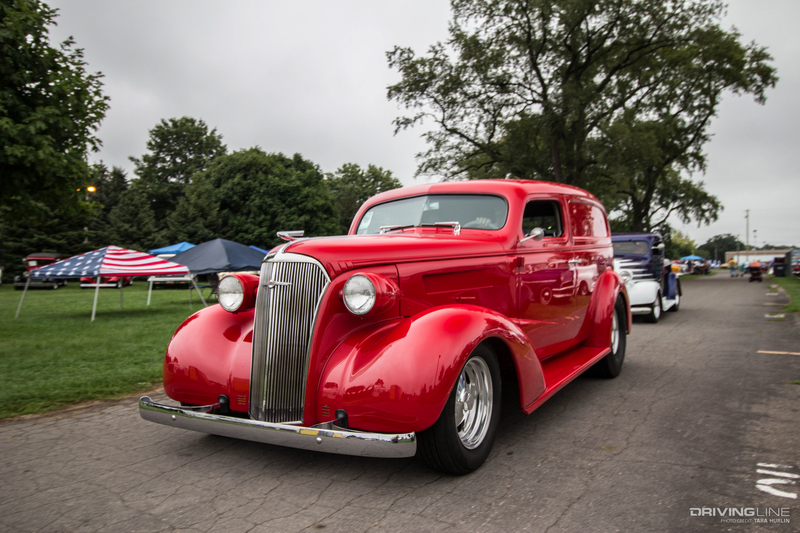 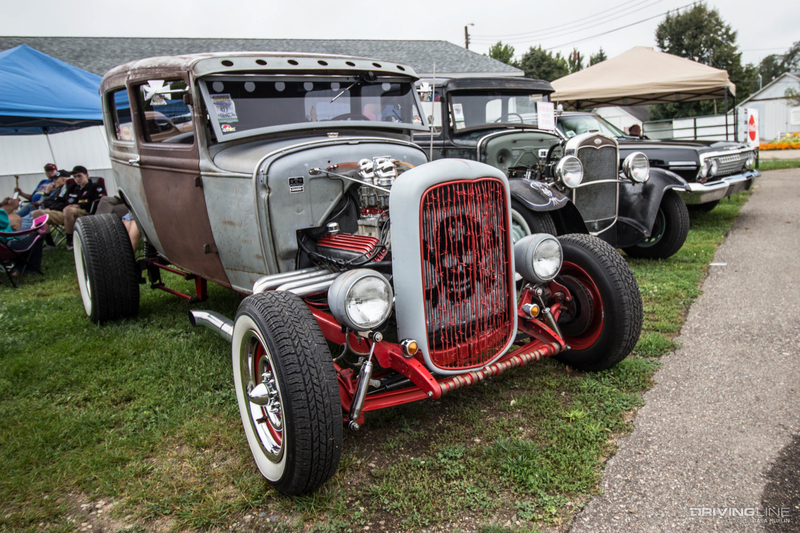 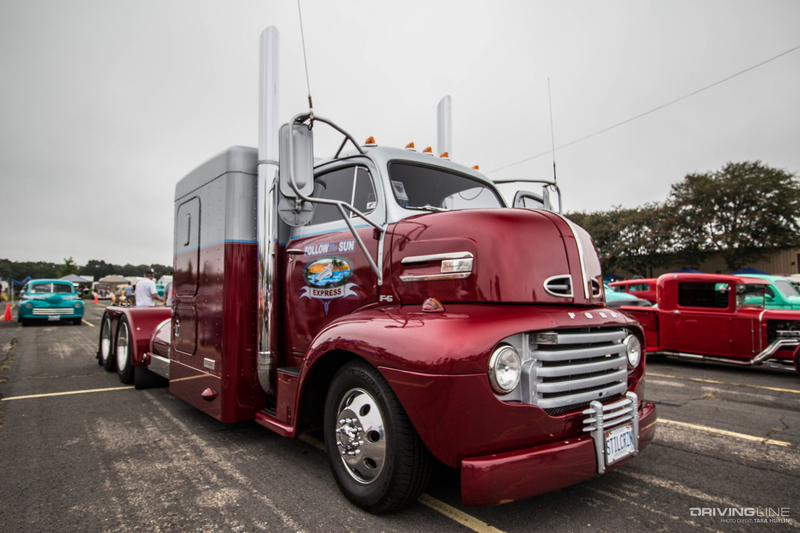 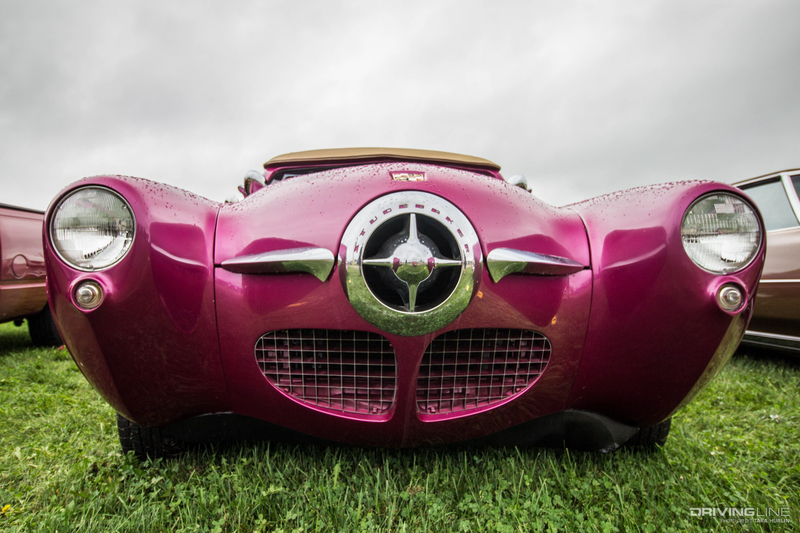 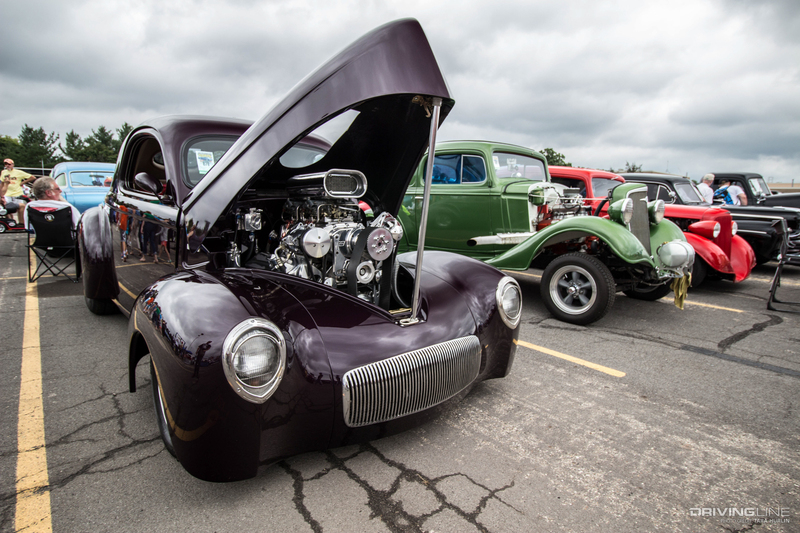 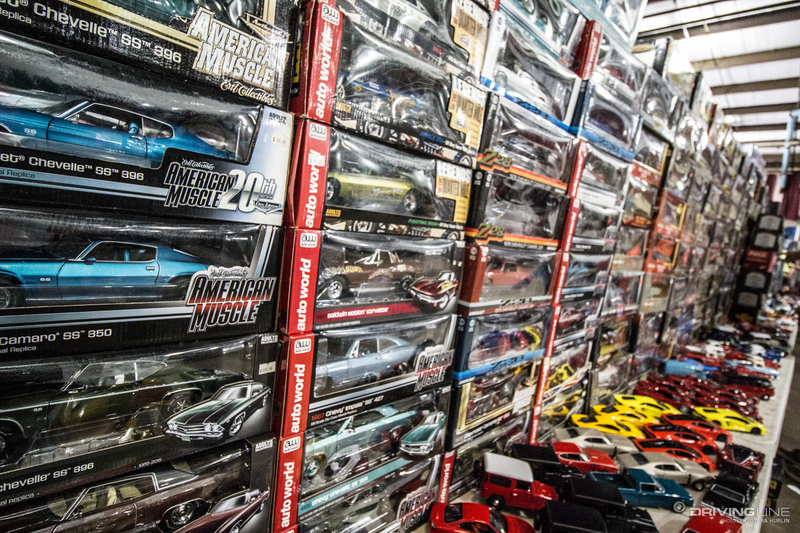 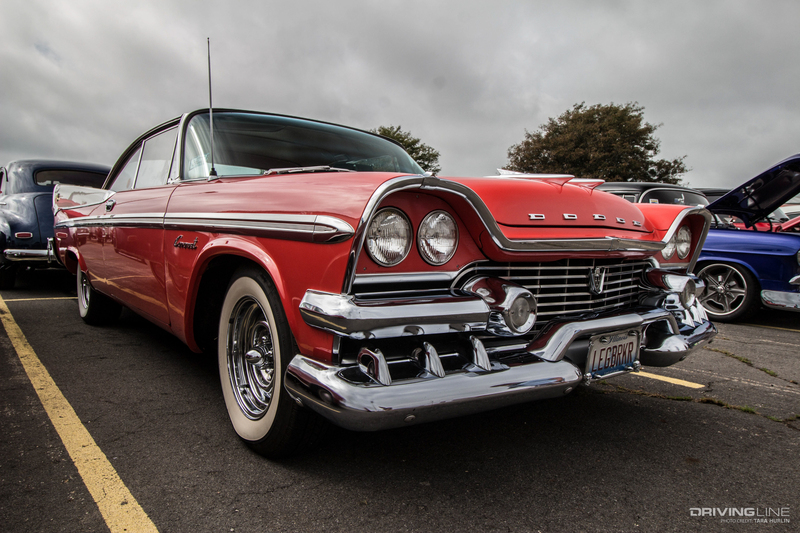 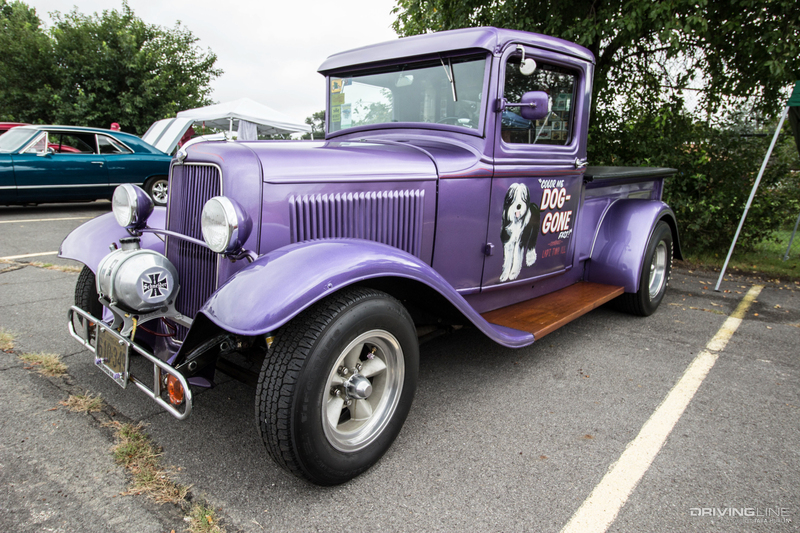 While most enthusiasts would consider 500 cars as a good turnout, the Street Rod Nationals brings out 2,500 of the finest street rods, muscle cars, customs, trucks and specialty vehicles that Michigan has to offer. 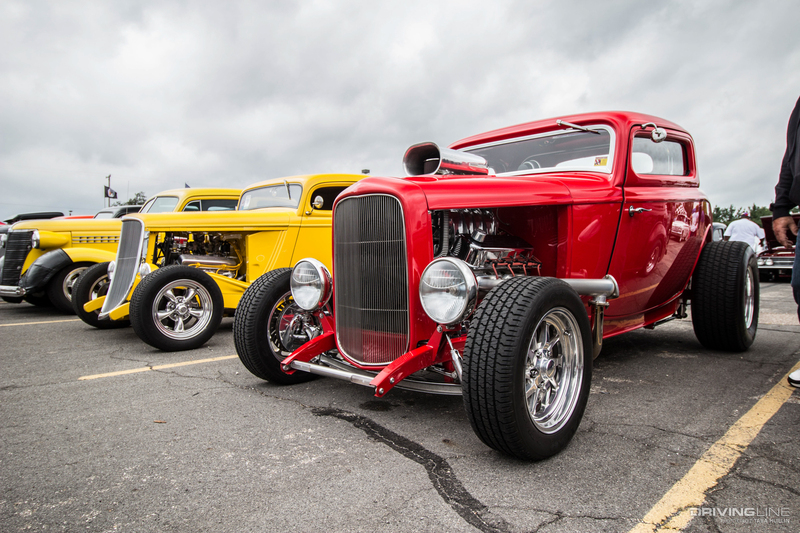 In its 37th year, the National Street Rod Association (NSRA) shows no signs of slowing down. 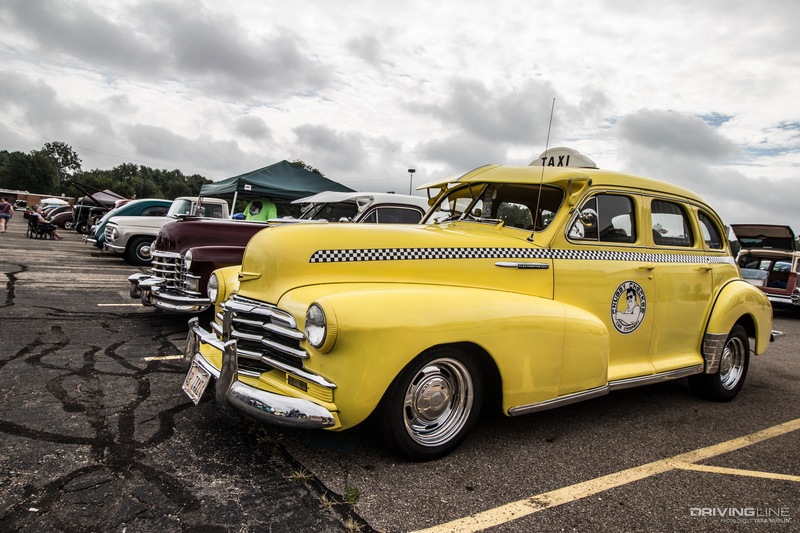 An event for car enthusiasts by car enthusiasts, there was such a large variety of rides—from between 1950-1986 model years—that it’s much easier to show than tell. 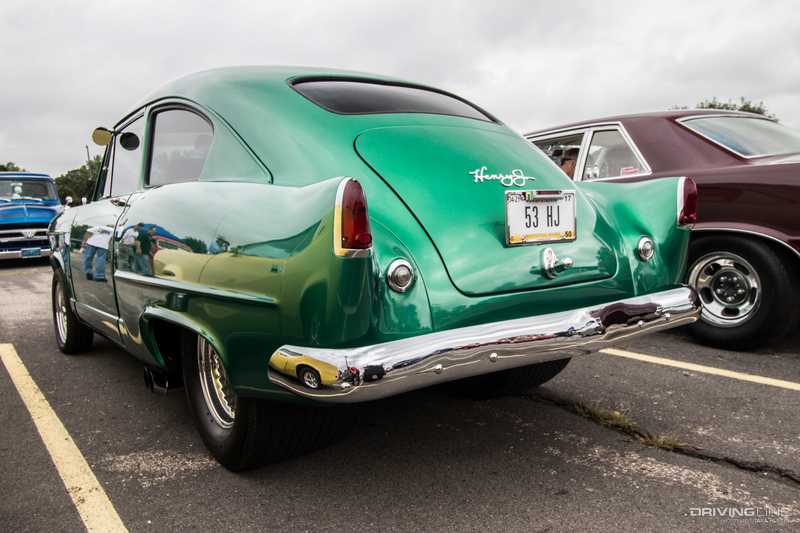 The first car that made us stop in our tracks was an early-‘50s Buick Estate Wagon, cured by Mother Nature herself. 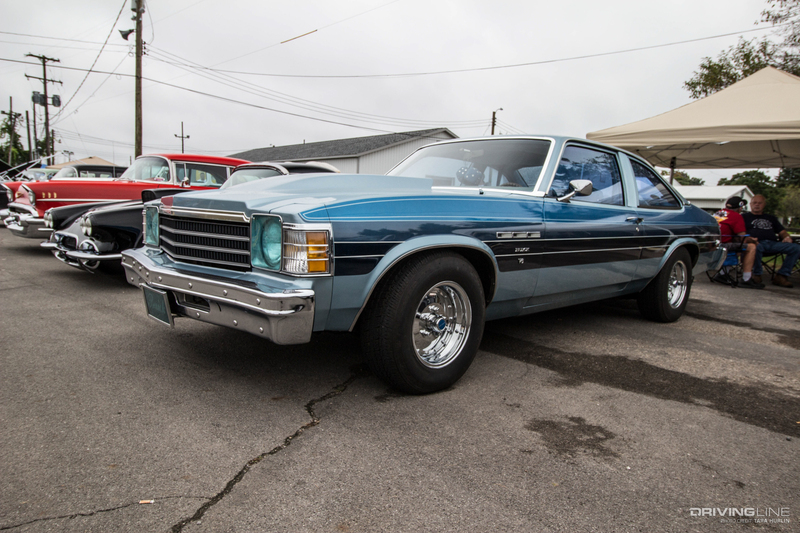 The contrast of the natural pantina against brightly polished chrome was striking, and we couldn’t help but walk around to view the beauty from every angle. 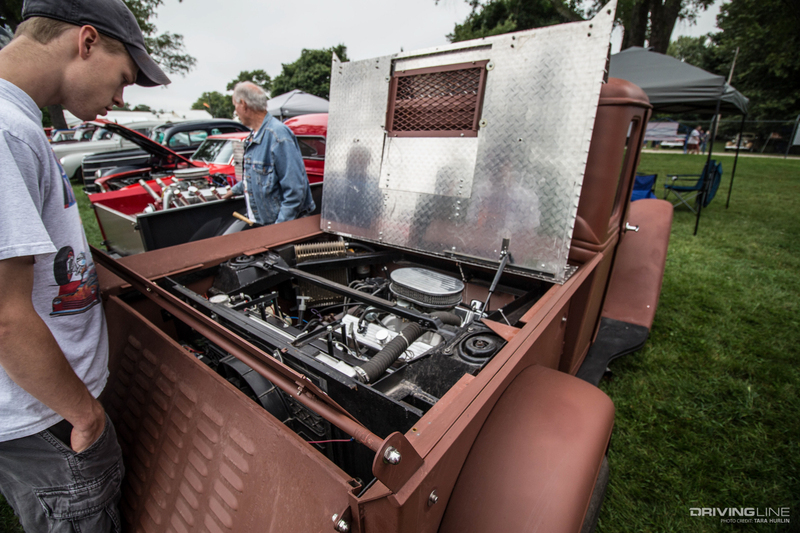 We’ve all heard the phrase, “It’s so clean I could eat off of it.” Well, this custom Dark Espresso Pearl 1975 AMC Matador is so spotless, I wouldn’t dare place food on it. 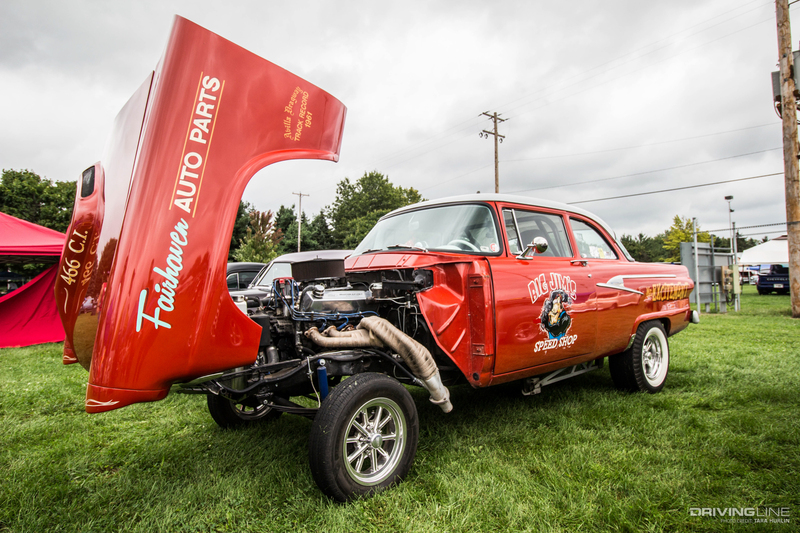 It’s an insane animal powered by a fuel-injected Ram Jet 502 engine with a bull-bucking 500 ft-lbs. 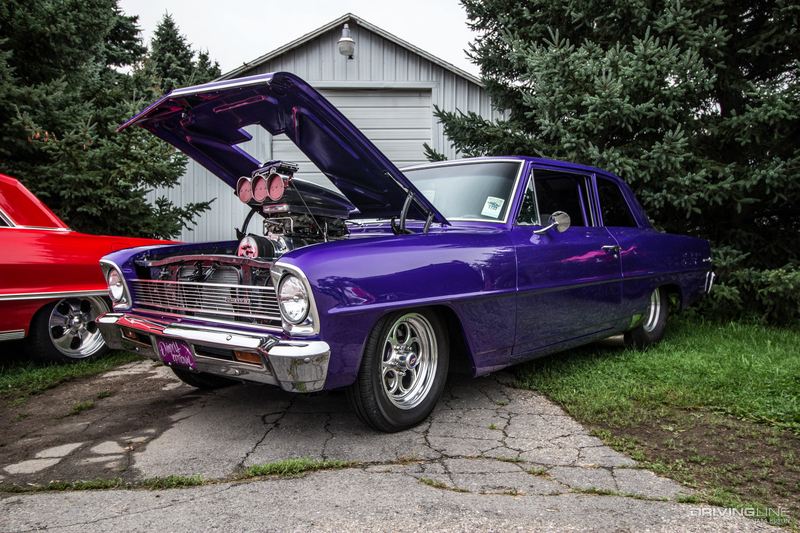 of torque backed by 500 horsepower. 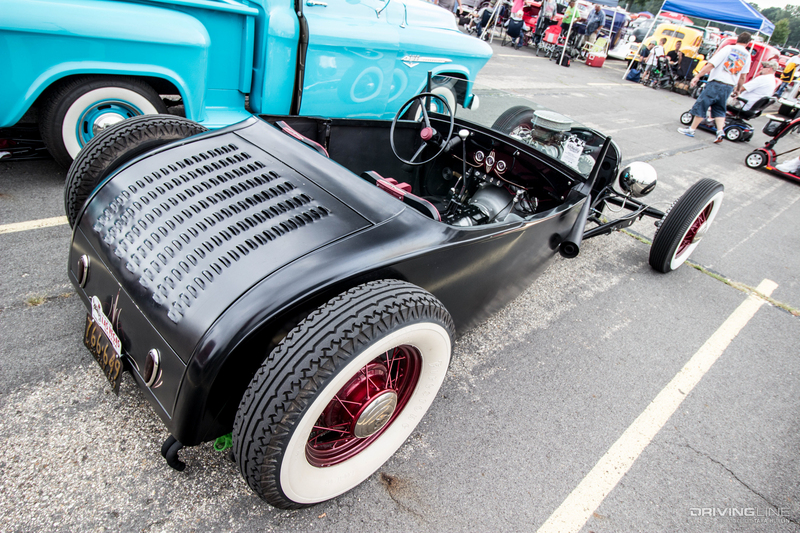 This traditional, historic hot rod from Ontario, Canada, is a 1934 Ford roadster powered by a Ford four-cylinder with Eddie Meyer side-draft carburetors. 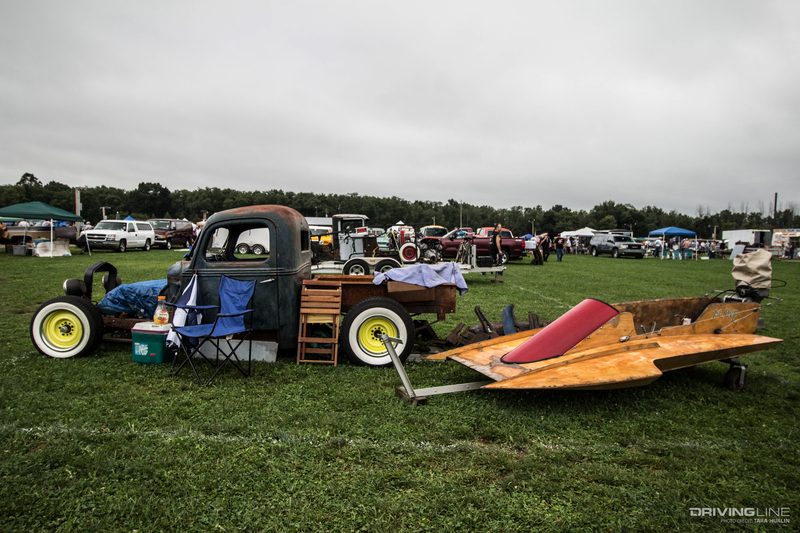 The owner, wearing a period-correct leather aviator cap, was seen circling the grounds and stopping to smile for photos, and he caught up to us right before we headed into the swap meet. 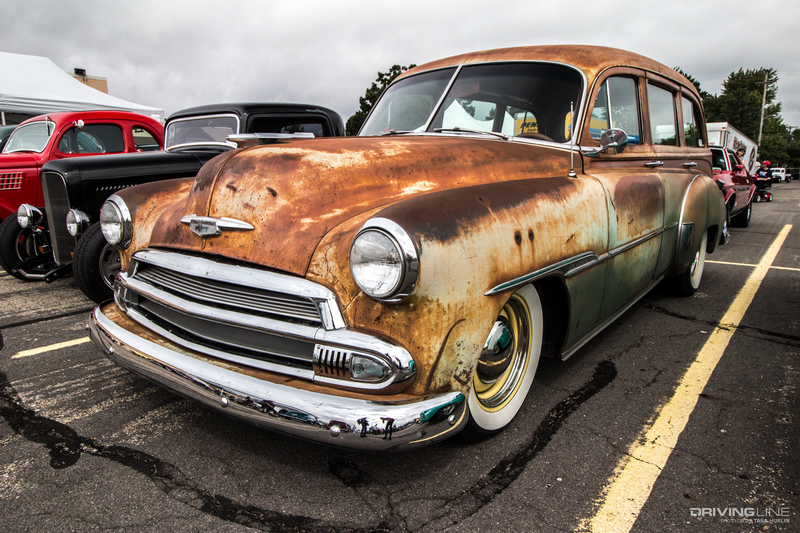 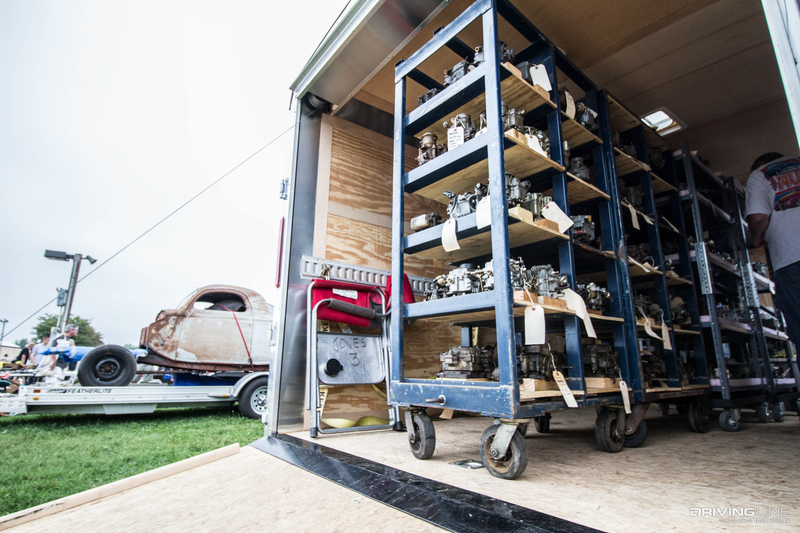 A football-sized field full of rusty gold, chrome trim and rare parts was the perfect place to dream up new projects or find that elusive piece for an existing build. 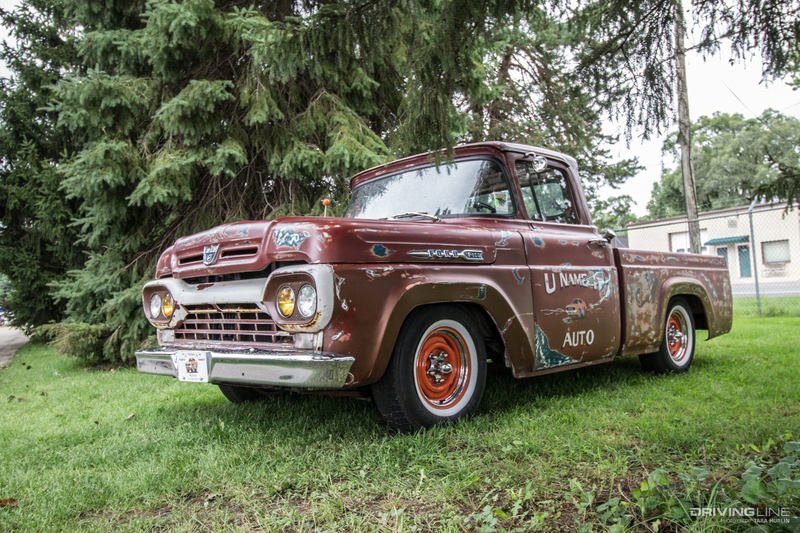 Several vehicles with great potential were found, including this cool old Jeep pickup. 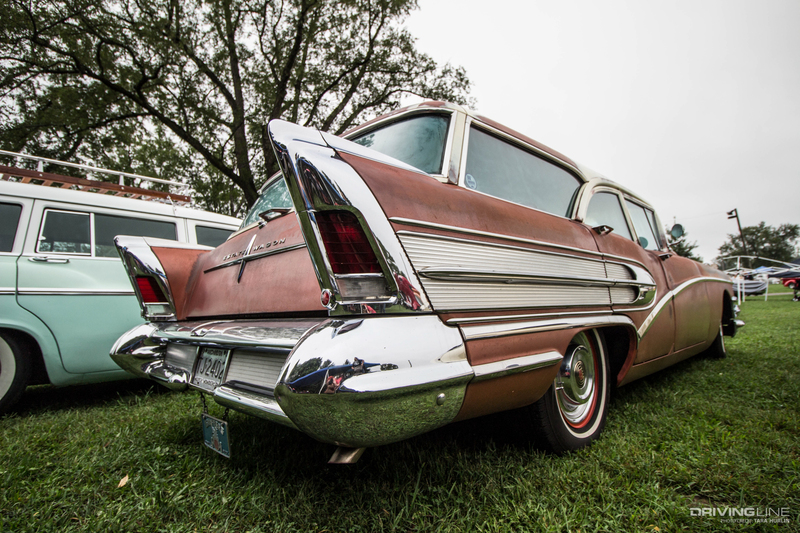 Right after I scored a set of early-'60s Cadillac emblems, I turned to see what may not have been the best deal of the meet, but it was undoubtedly the most entertaining. 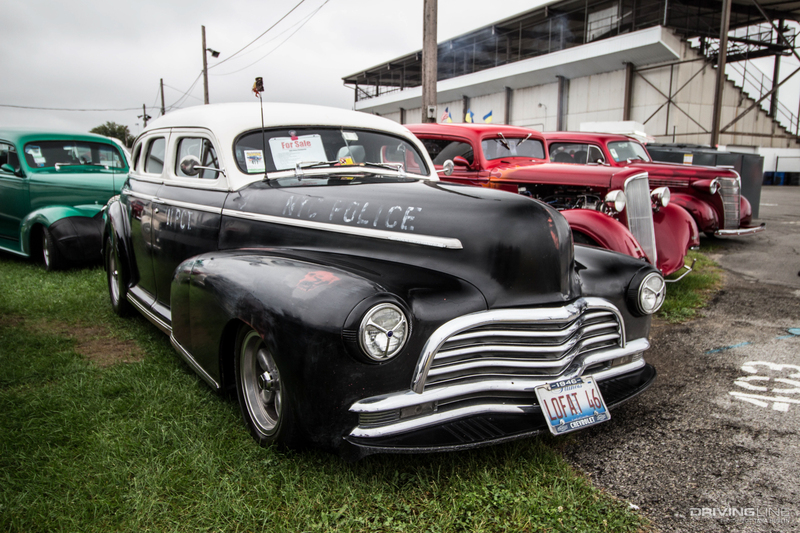 A humorous note was taped to this disheveled 1930s Ford humpback sedan. 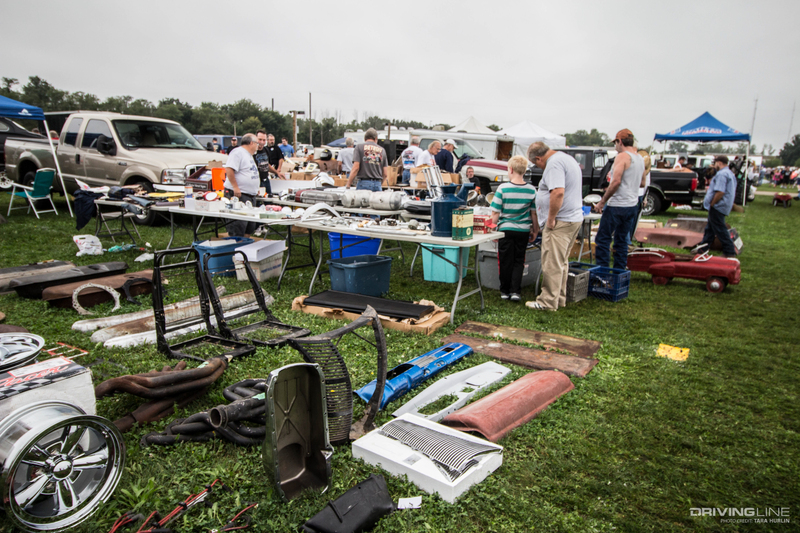 “Selling for a friend, not much of a friend. 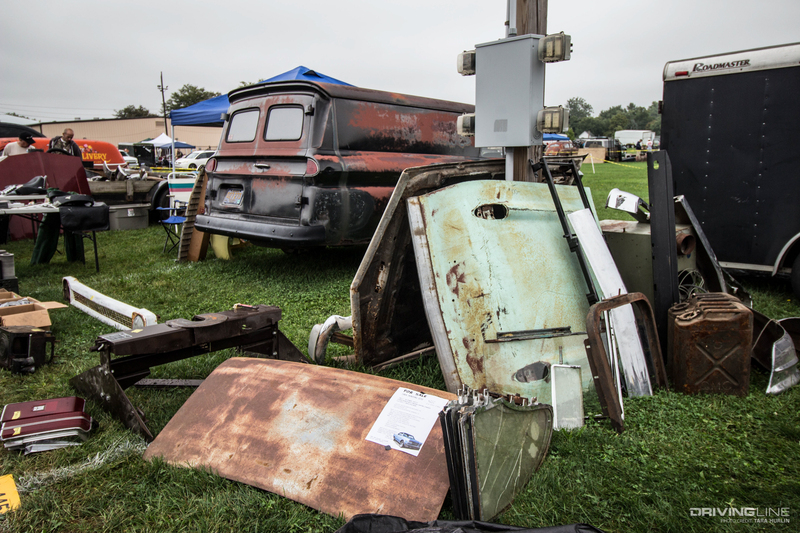 He thinks it’s worth $3,200. 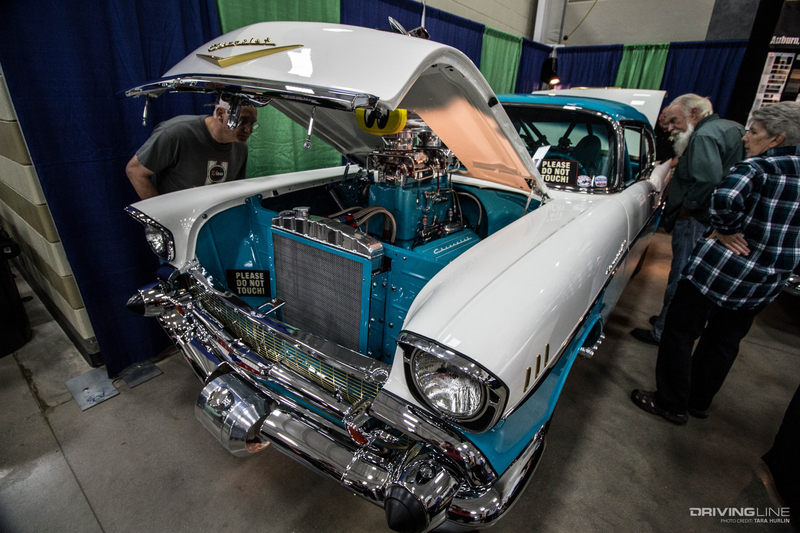 The NSRA cares about their hobbyists, so it makes sense for them to be dedicated to vehicle safety. 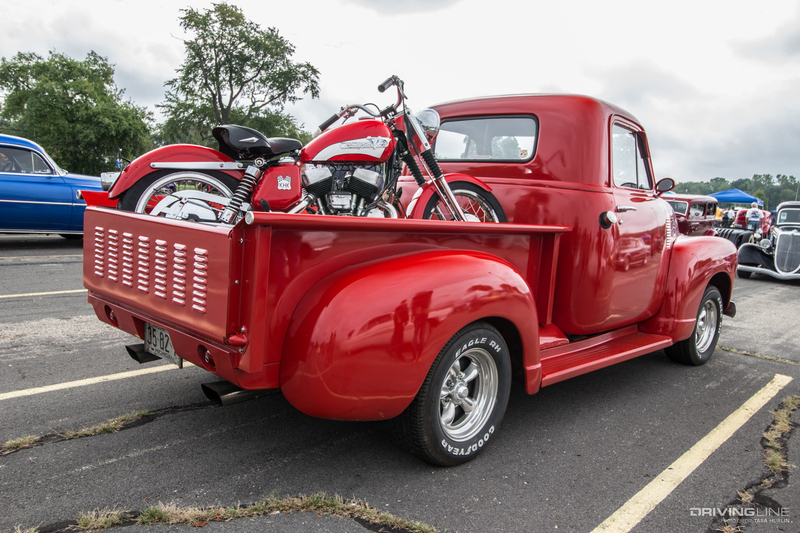 The club offers free 23-point safety inspections on a volunteer basis to all club members. 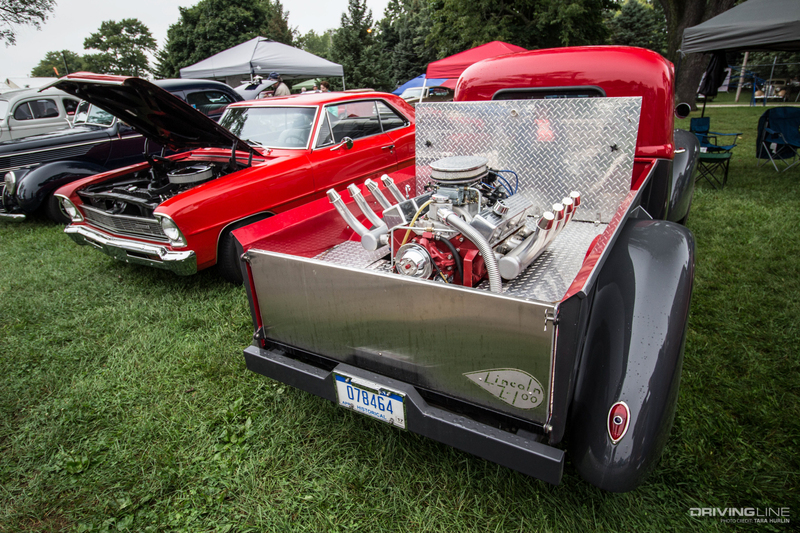 Here, Tom, a NSRA member and inspector, checks out the suspension of a custom Chevy Pickup. 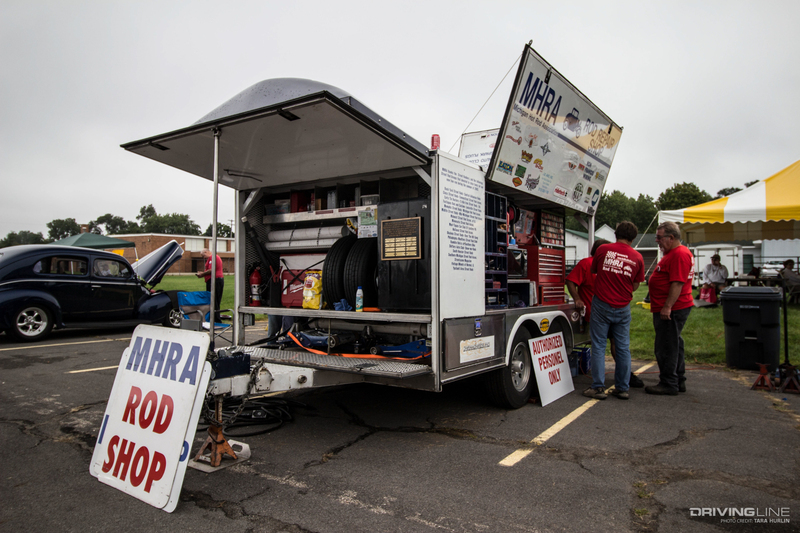 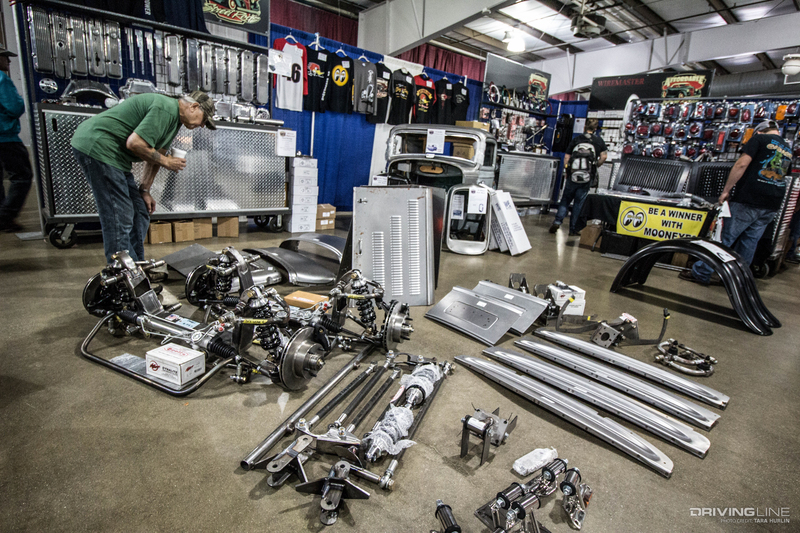 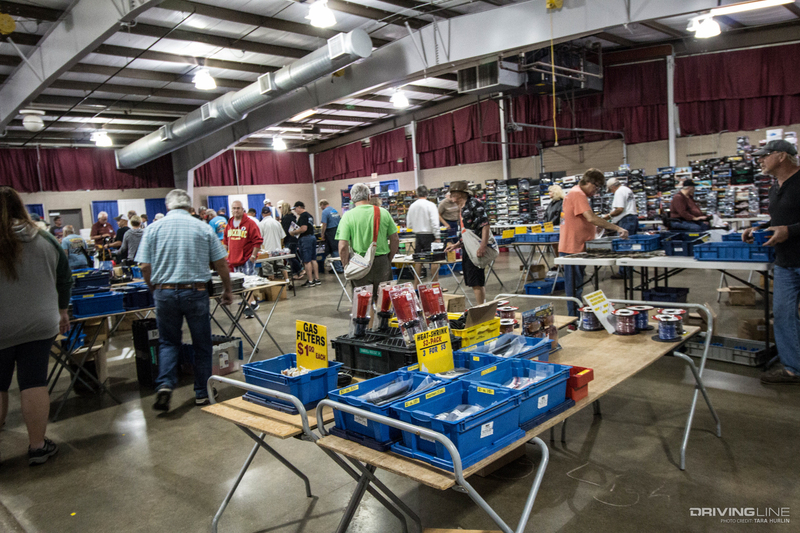 The Michigan Hot Rod Association (MHRA) Rod Repair Shop has offered their services to NSRA members since 1972. 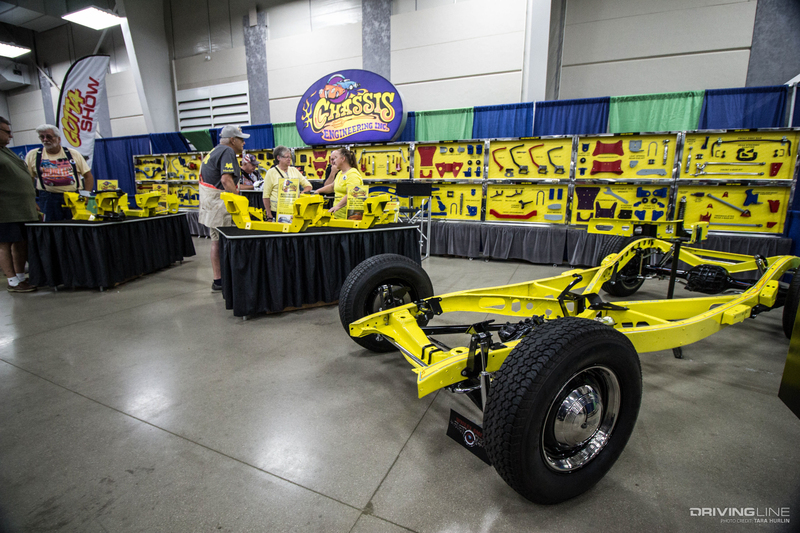 If members are having troubles with their collector, or if the tech inspectors notice anything concerning, the repair shop offers free labor with a smile. 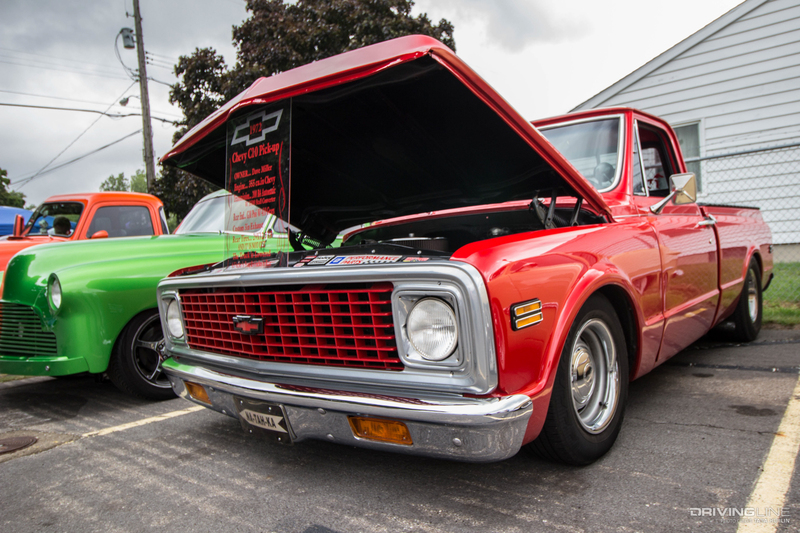 The shop’s mechanics say that the car problems go in spurts, and brake light wiring paired with power steering failures were the trends of the weekend. 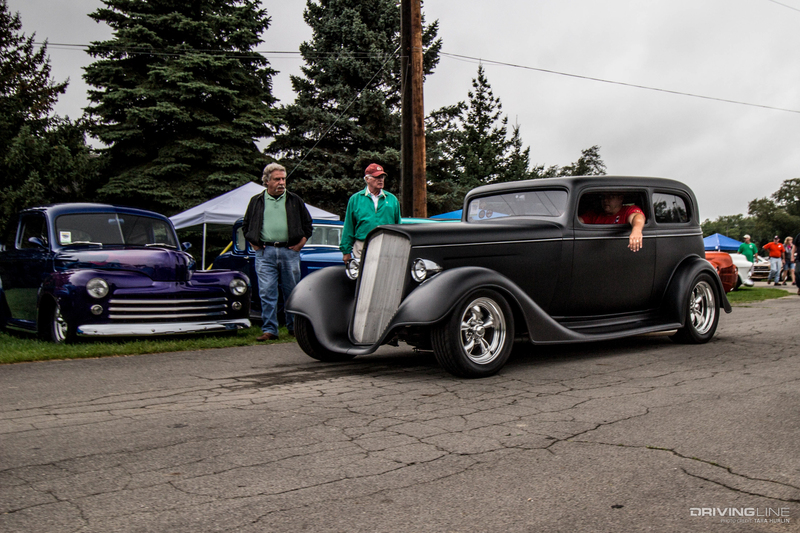 It’s the culture behind hot rod shows that keeps us coming back for more, no matter how far we need to travel. 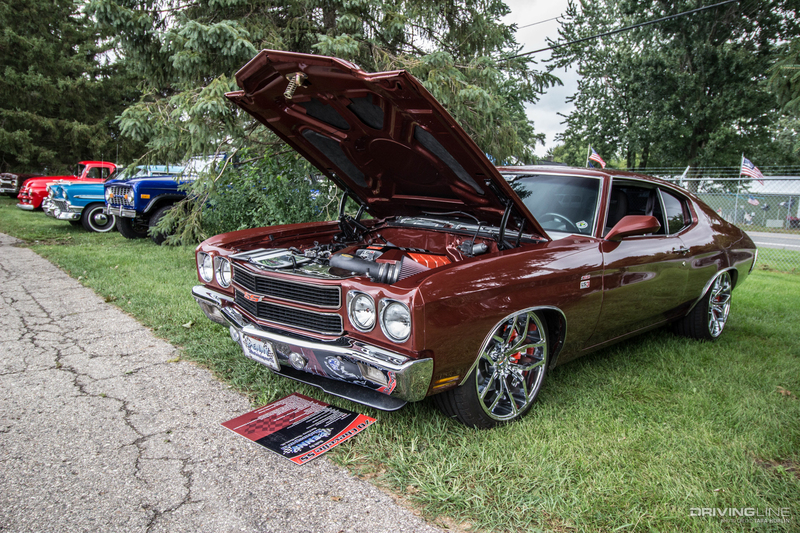 Luckily, you can get a glimpse of the event right from where you sit by scrolling through the photo gallery above.